On Nov. 19 I attended one of several planned high-level preparatory meetings in anticipation of UNISPACE +50 to be held in 2018. The UNISPACE conferences are organized by the United Nations Committee on Peaceful Uses of Outer Space (UNCOPUOS), with the intent of bringing nations together to collaborate and discuss the benefits and potential of space technology with respect to socioeconomic development. UNISPACE began as a three-part conference series, all held in Vienna: UNISPACE I in 1968, UNISPACE II in 1982, and UNISPACE III in 1999. In 2004, UNISPACE III+5 was held to review the results of the recommendations from the previous UNISPACE conference. The focus of each UNISPACE conference is very indicative of the era they were held in. 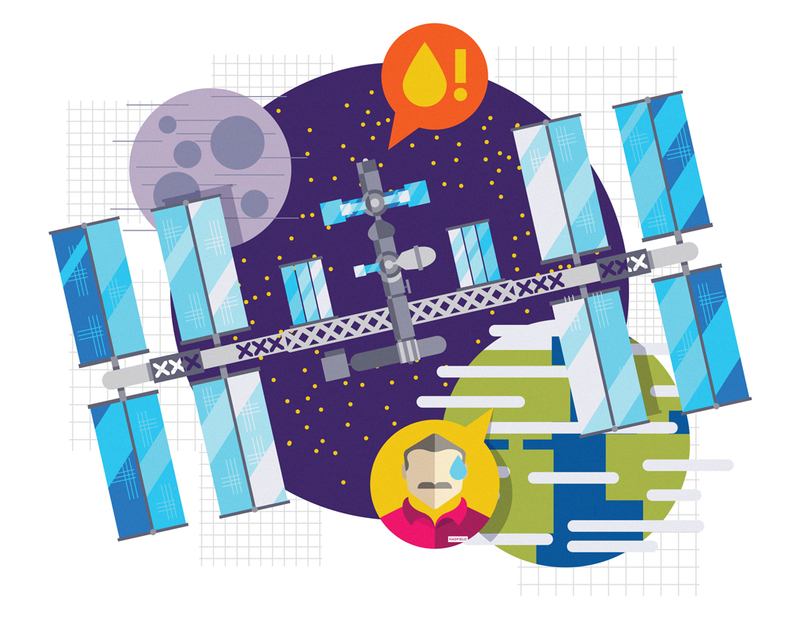 In 1968, the focus was on how to use the benefits of space for all of humankind, how to benefit developing countries, and international cooperation. These three points would remain part of the UNISPACE discussion in the future. In 1982, maintaining the peaceful use of outer space and preventing an arms race were two of the main focuses. In 1999, the focus shifted more towards protecting the Earth’s environment, space environment, and natural resources. The Space Generation Advisory Council (SGAC), the organization I am interning with, was created during UNISPACE III as a means to engage youth in space activities and provide their perspective on current space issues. The SGAC holds an annual event called the Space Generation Congress, which is meant to be an opportunity for students and young professionals to discuss topical space issues and have the results of these discussions reported to the United Nations. This serves as an opportunity for them to learn about the current state of the space sector, and to give the United Nations the input of the youth in the sector. UNISPACE +50 will mark the 50th year since the first UNISPACE conference, and will be another opportunity to review the outcomes of the previous conferences and to once again open the discussion on current and future developments in the space sector. Since UNISPACE III+5 in 2004, a lot has changed in the space industry. I attended the meeting as part of the SGAC delegation. The SGAC was granted permanent observer status in 2001 with UNCOPUOS, affording them the privilege to attend all of the committee’s meetings. However, unlike member states, permanent observers generally are not permitted to contribute to a discussion unless called upon, do not have voting power, and cannot propose resolutions. 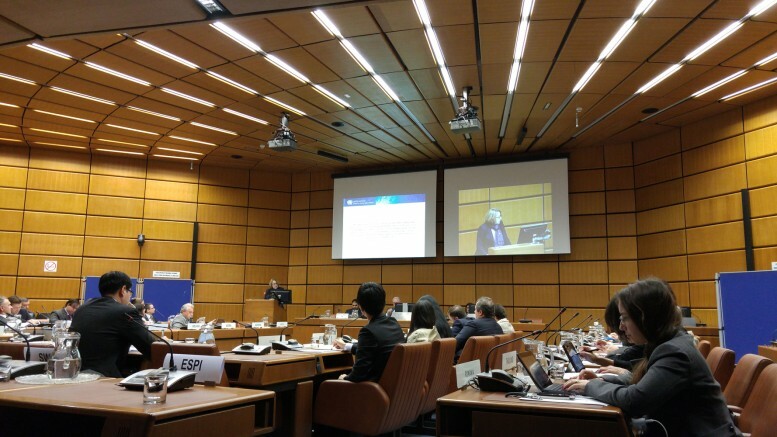 The SGAC gives statements at three of the UNCOPUOS annual meetings: the general assembly, the legal subcommittee, and the science and technical subcommittee meetings. These reports summarize the recommendations and results from the annual Space Generation Congress, the activities of the SGAC’s project groups, and other updates on the progress of the organization. The preparatory meeting was focused around the four pillars of space as a driver for sustainable development: economy, society, accessibility, and diplomacy. Each pillar had one or two speakers and a moderator. Among the speakers were representatives from the United Arab Emirates Space Agency, the European Global Navigation Satellite Systems Agency, Eurisy, the European Space Agency, Sierra Nevada Corporation, McGill University’s Institute of Air and Space Law, and the International Committee on Global Navigation Satellite Systems. The meeting was opened by a presentation by the director of the United Nations Office of Outer Space Affairs, Simonetta Di Pippo. She explained the four pillars of the meeting and their context. The United Nations has 17 sustainable development goals. One of these goals is revitalizing global partnership for sustainable development, joining governments, civil society, and the private sector to strive for sustainable development. The space sector is a perfect platform for this, with government agencies, commercial entities, and private individuals now all participating in space activities. There is a potential for space to be a means of socioeconomic sustainability, and the four pillars focus on how that is possible. Most presentations seemed to repeat information I had already heard before in some form or another. They seemed to be mostly updates on current issues or activities. The biggest issues seem to be the lagging of space law, policy, with respect to technology, and ensuring equal access to space. One concept that was new to me was that equal access to space does not mean physical access alone. Access to space also includes access to data obtained from space technology, which can still be incredibly useful for nations which do not have their own satellites or launching capabilities. Even just using satellite data, a country can monitor food resources, study climate change, or respond to disasters. Only a week before this meeting was held, the U.S. Senate passed the 2015 Spurring Private Aerospace Competitiveness and Entrepreneurship Act (SPACE Act), with one of its more interesting segments being the granting of rights to celestially mined resources to its citizens. The topic came up many times during the meeting, with one delegate comparing the reception of space mining to how remote sensing was perceived. Remote sensing was originally a technology used for reconnaissance missions, and when the technology moved from military to commercial use, there was some resistance and a lot of concern over potential misuse. However, remote sensing is one of the most beneficial space activities today. I found it to be an interesting comparison, and it really made me look at the SPACE Act a little differently. I really appreciated the optimistic comparison. Having only read about UNCOPUOS meetings before, it was interesting to see one in action. I was told this meeting was less formal than a typical UN meeting, as it invited a lot more open discussion and questions among member states. Overall, the mood seemed positive. The next high-level preparatory meeting is scheduled to be held in mid-November 2016 in Dubai. Although it is still quite a few years away, I look forward to UNISPACE +50 in 2018. It’s hard to say if I’ll be able to attend, but it will be a great opportunity to show how much the SGAC has grown since its inception. I feel as though the SGAC has certainly achieved its purpose. It is also certainly very nice to see cooperation remains important among nations when it comes to using the benefits of space for humankind. Chantelle Dubois is currently interning with the Space Generation Advisory Council in Vienna, and will be writing about her experiences in the Notes from the Star Field series for the Manitoban.